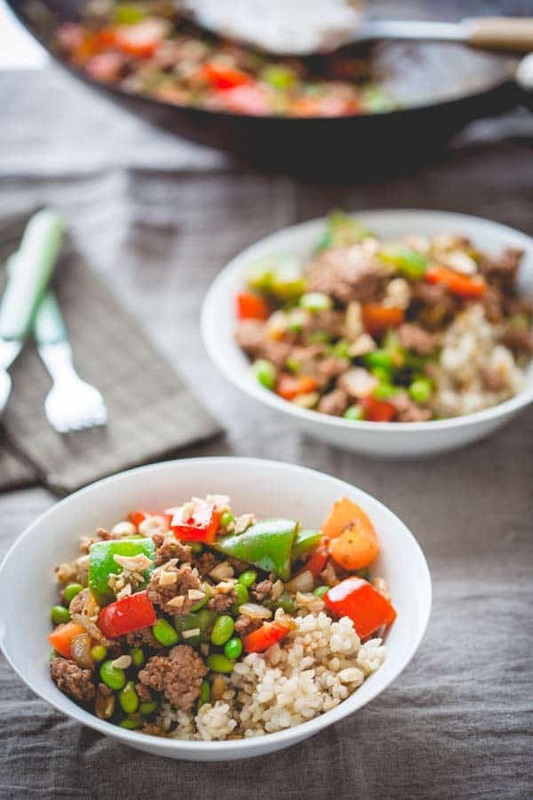 This healthy and colorful Hoisin Pork and Pepper Stir-fry comes together in a flash! Just whisk up your sauce and chop your veggies before you start cooking and you’ll have dinner on the table in 20 minutes flat! In the world of restaurant cooking, specifically among line cooks, you may here someone say, “Don’t mess with my Mise.” What are they talking about? Mise is short for Mise en Place, or the prepped-out ingredients (and apparaille) and sauce they’ll need during service all kept within reach and ready to go when they need it. The term is actually literally translated to “Everything in its place.” Line cooks are notoriously very protective of their mise, since having their ingredients actually in its place is so important when you’re in the middle of cooking. I always think about channeling my inner line cook, when I make a stir-fry. With a stir-fry, the cooking is so fast, that you need it all lined up and ready next to the stove so that you have it when you need it. Check it out in my newest one minute cooking video. When you make this stir-fry you’ll need to channel your inner line-cook and get your mise en place ready to go before you start. But if you’ve done that, you’ll see that the whole meal comes together in just 20 minutes flat! 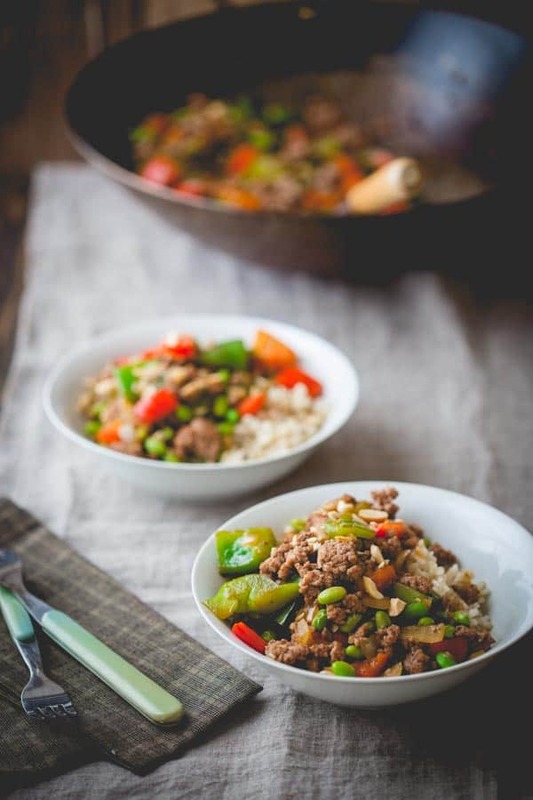 My kiddos love the sweet sauce and I love how easy it is to make this healthy meal from vegetables and local meat! Have you ever cooked in a restaurant or worked in a professional kitchen? Do you get your mise en place ready to go before you make a stir-fry? 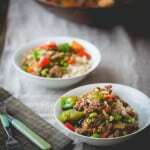 This Hoisin Pork and Pepper Stir-fry is so easy to make for busy weeknight dinners. My kids love the sweet sauce and I love that it is ready in only 20 minutes! Stir hoisin, soy sauce, white vinegar, ginger and pepper in a small dish. Heat oil in a wok or large skillet over high heat. Add peppers, onion and garlic and cook, stirring until the vegetables start to soften, 3 to 5 minutes. Scrape the pepper mixture out onto a plate and keep warm. Add pork to the wok or skillet and cook, breaking up until the pork is no longer pink, 5 to 7 minutes. Add edamame, the vegetable mixture and the sauce and cook, stirring until heated through, about 2 minutes more. Serve topped with nuts. The videos are not as hard as you may think. I have a long way to go with them, but I think it really helps to show just how easy recipes are. Especially for visual learners. I am such a messy cook – I need to get more organized and get my “mise en place” better instead of scrambling! I used to work in a bakery – it also had an adjoining restaurant and those line chef’s were so serious about their art! Lovely recipe – see why your kiddos love that sauce – it sounds super delish! Ha ha, yes line cooks have a high stress job, so being organized helps. I LOVE the look of this dish. It’s so simple and totally delicious. I’m so bad at getting all my ingredients together before I cook. I really need to change that! Thank you Brandy! Thanks for visiting today. I’ve been working on my mise as well! It sure does make me a much more efficient cook. The only downside is that I end up with a sink loaded with dishes. 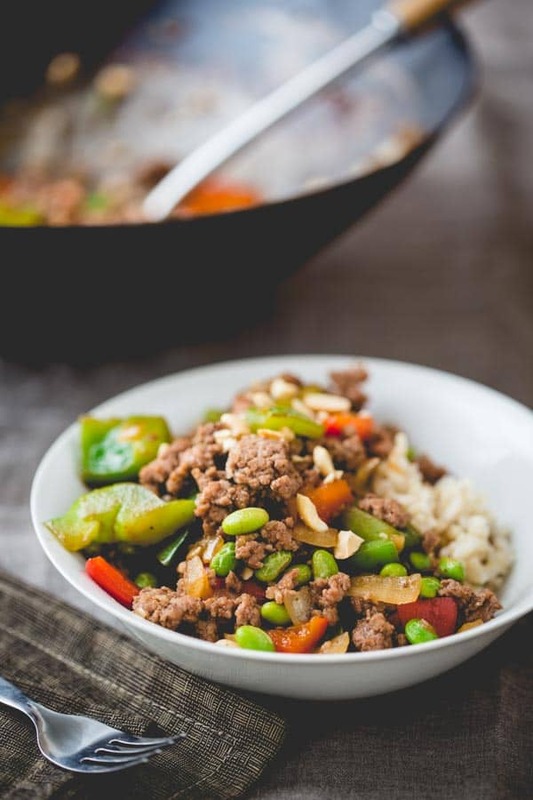 In any case, stir-fry is my go to weeknight meals, and I’m so eager to try this version! Yes, good point! The dirty bowls can be an unwanted side-effect. Stir-frys are the best because they are so fast! I can be that way too, though when I am testing a recipe or when I make a stir-fry I am pretty organized. I always have my food lined up before I start a stir fry, too! 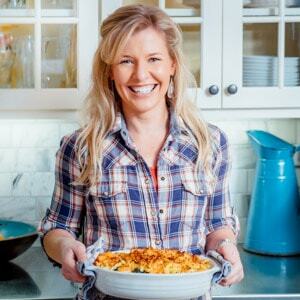 This dish looks so good, and I love your video, Katie! I wish that I could cook with a round-bottomed wok, but our stove only facilitates flat-bottomed ones! I am gearing up to demo a stir-fry this week, and I am planning to talk about that very subject! Ha ha. Thank you for the compliment Lisa. Have a great day. Katie, this is delicious! The only change I made was to add fresh ginger in place of ground… So good! I love that it has plenty of protein as my husband and I both work out! I’m so thrilled that you liked itand thank you for coming back to report on it Tamara. Have a great day.